J.K. Rowling and director David Yates team up again to bring their latest fantasy adventure film, Fantastic Beasts: The Crimes of Grindelwald, the sequel to Fantastic Beasts and Where to Find Them. The Fantastic Beasts Film series is a prequel to the Harry Potter films, which take us back 70 years prior to the Hogwarts adventures. After Gellert Grindelwald’s (Johnny Depp) capture in the first film, the sequel follows Grindelwald’s escape from custody and his plans to gather pure-blooded wizards to rule over the non-magical world. To take down the dark wizard, Albus Dumbledore(Jude Law) and his former student, Newt Scamander (Eddie Redmayne), join forces and face the many dangers of the world of wizards.The Crimes of Grindelwald is the second movie of the Fantastic Beasts five-film series. It delves into the fascinating world of wizardry that J.K. Rowling so beautifully crafted with her original Harry Potter novels. 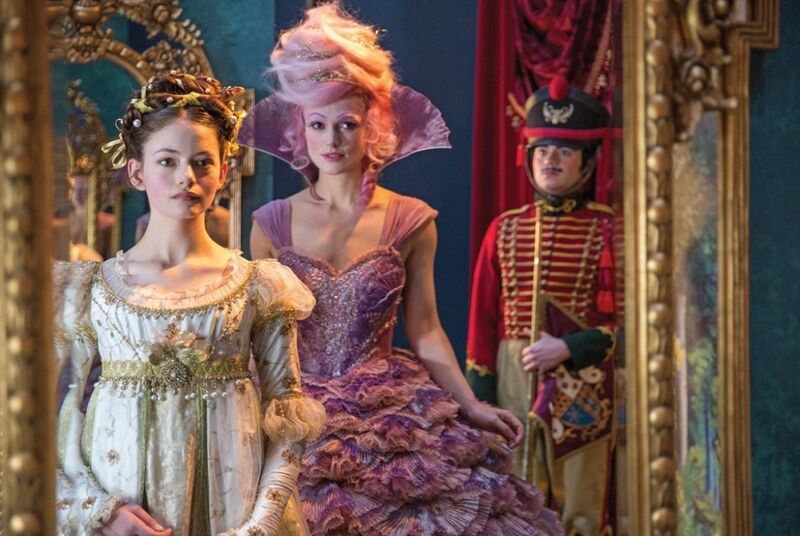 Walt Disney’s new live-action film, The Nutcracker and the Four Realms, is a visually stunning insight into a magical world, starring Mackenzie Foy, Keira Knightley, Morgan Freeman, Helen Mirren, and Jayden Fowora-Knight. Directed by Lasse Hallstrom and Joe Johnston, the film is inspired by E.T.A. Hoffmann’s 1816 story titled The Nutcracker and the Mouse King and Tchaikovsky’s classic ballet, The Nutcracker. The film centres around a young girl named Clara who is in search of a key that unlocks a priceless gift from her late mother. When Clara attends her godfather Drosselmeyer’s Christmas party, she is presented with a golden thread which leads her to a fantasy world, where she meets a nutcracker soldier named Philip. In order to retrieve the key, she travels through four magical realms, encountering many fascinating characters, such as Sugar Plum Fairy and Mother Ginger. Clara soon realises that the four realms are at war, and they need her help to restore peace to the kingdom. Universal Pictures and Illumination Entertainment’s latest 3D animated comedy, The Grinch, is the third screen adaptation based on Dr. Seuss’s classic 1957 story, How the Grinch Stole Christmas! After the success of the 1966 TV special and the 2000 live-action film starring Jim Carrey, The Grinch revives this well-known story of the lovable, fuzzy, green grouch whose mission is to steal Christmas. 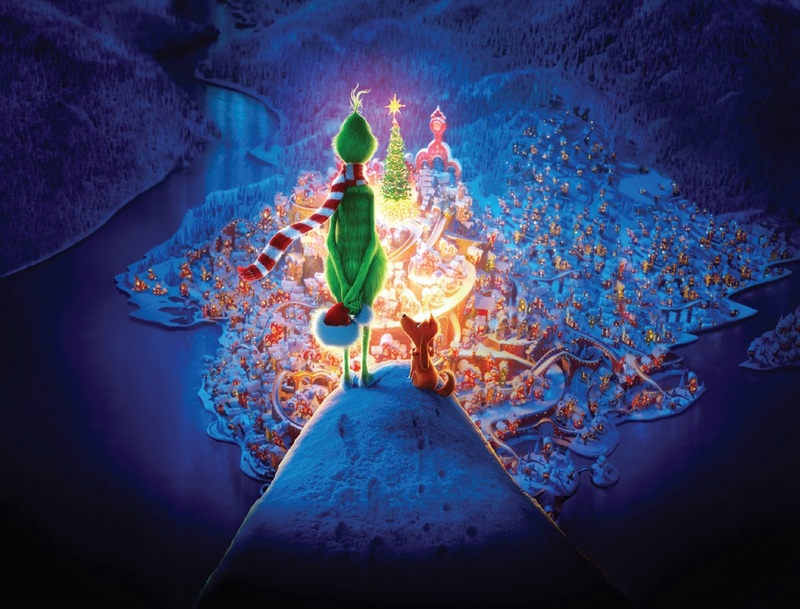 Academy Award nominee, Benedict Cumberbatch, voices the infamous Grinch, who lives a lonely existence in a cave on Mt. Crumpet with his loyal dog, Max. The cantankerous Grinch rarely interacts with his neighbours in Whoville as he is annoyed by most things around him. He is especially aggravated during the Christmas season by the loud holiday celebrations in the village. This year, when the people of Whoville choose to make Christmas bigger, he decides to put a stop to their holiday cheer. The Grinch comes up with a nefarious scheme to ruin Christmas for everyone in the hopes of getting some peace and quiet. 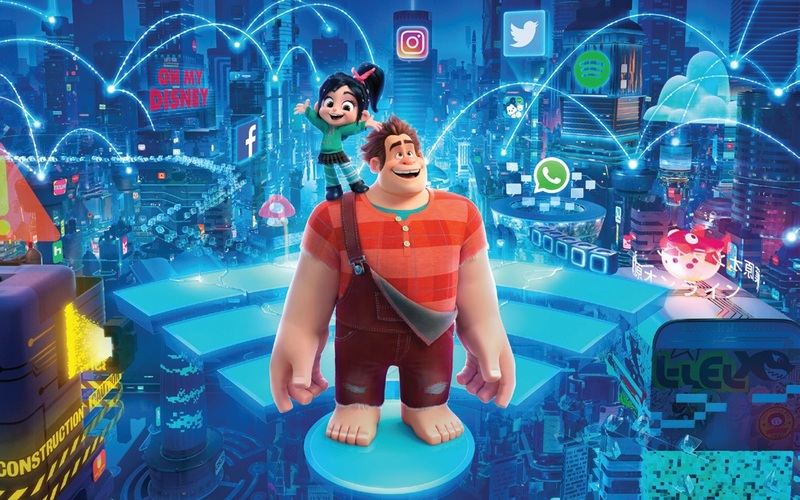 Just six years after nearly destroying Litwak’s video arcade, Ralph (John C. Reilly) and Vanellope von Schweetz (Sarah Silverman) are back again in Disney’s new animated comedy, Ralph Breaks the Internet, the sequel to the hit film, Wreck-it-Ralph. Ralph and Vanellope’s adventure begins when they travel through the world of the internet in search of a replacement part for Vanellope’s video game, Sugar Rush. As they forge ahead into the depths of the internet, they soon realise they are way in over their heads and need help from “the netizens”, the citizens of the internet, to help navigate their way.Directed by Phil Johnston and Rich Moore, the film includes numerous cameo appearances with original voiceovers of Disney princesses, The Muppets, Marvel Comics, Star Wars, and Pixar characters.